1.Children who study music tend to have larger vocabularies and more advanced reading skills than their peers who do not participate in music lessons. 2.Studying music primes the brain to comprehend speech in a noisy background. •Children with learning disabilities or dyslexia who tend to lose focus with more noise could benefit greatly from music lessons. 3.Research shows that music is to the brain as physical exercise is to the human body. 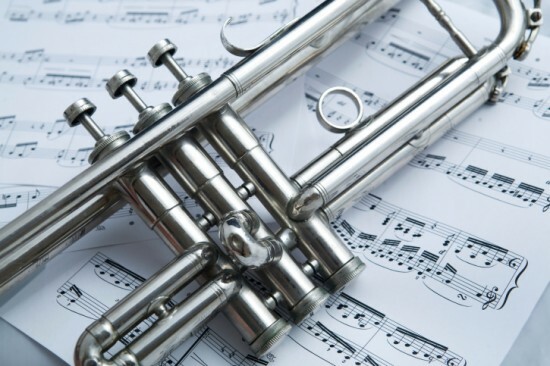 Music tones the brain for auditory fitness and allows it to decipher between tone and pitch. 4.Children who study a musical instrument are more likely to excel in all of their studies, work better in teams, have enhanced critical thinking skills, stay in school, and pursue further education. 5.In the past, secondary students who participated in a music group at school reported the lowest lifetime and current use of all substances (tobacco, alcohol, and illicit drugs). 6.Schools with music programs have an estimated 90.2 percent graduation rate and 93.9 percent attendance rate compared to schools without music education who average 72.9 percent graduation and 84.9 percent attendance. 7.Regardless of socioeconomic status or school district, students who participate in high-quality music programs score 22 percent better on English and 20 percent better on Math standardized exams. 8.Much like expert technical skills, mastery in arts and humanities is closely correlated to high earnings. 9.A study from Columbia University revealed that students who study arts are more cooperative with their teachers and peers, have higher levels self-confidence, and are more equipped to express themselves and their ideas. 10.Elementary age children who are involved in music lessons show greater brain development and memory improvement within a year than children who receive no musical training. 11.Learning and mastering a musical instrument improves the way the brain breaks down and understands human language, making music students more apt to pick up a second language.